The drum body accommodates the required length of the flexible cable to be wound and unwound. The size of the drum depends upon the diameter of cable and the length of the cable. The I.D. of the drum is 16 times the O.D. of cable for L.T., and 25 times the O.D. of cable for H.T. 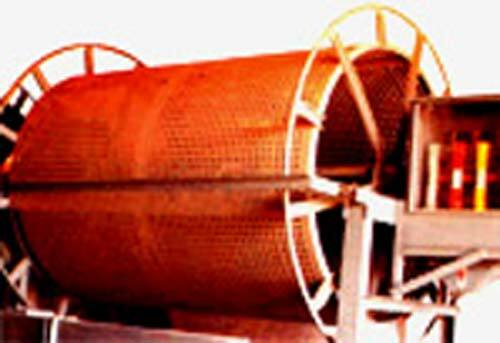 The parallel drum body is provided with a perforated sheet, primarily for better heat dissipation. The power, control and communication signal is transmitted by the slipring assembly to the machine. The slipring assembly has to be suitably designed to withstand the short circuit level of the system and the current carrying capacity. The number of sliprings and the ratings will depend upon the requirement of the machine. The brush gear is designed to carry the required current. This mechanism is very vital in the case of a parallel drum. It provides a proper layering of the cable side by side, and one over the other after the completion of one layer across the width of the drum. If the chain and the gear box are not properly selected, there will be frequent problems of chain snapping and non uniform winding. The cable guide assists in the formation of proper catenary and deposit of the cable on the ground at a pre-determined place. The over tension/under tension protection switch is also mounted on the guide arrangement. This is a gear cam switch with associated electrical switches and is driven by a sprocket and chain mechanism from the drum. This cam switch can be set for a particular length of cable, and if the set values are exceeded the control circuit provides for automatic stoppage of the machine. This is a very important protection and should not be ignored. This switch is also used for regulating tension in the case of Monospiral drum.